Whether because of unexpected guests or the aftermath of a party that got a little out of hand, life can sometimes deal out unpleasant surprises. For clients in Deerfield Beach, FL, however, Merry Maids of Deerfield Beach can help turn those surprises into pleasant memories. With a simple phone call, our flexible cleaning services will get your home sparkling clean. Whether you need us for a one-time cleaning or require maid service at regular intervals, we can accommodate you. When you call on us for your home cleaning needs, our professionally trained, bonded, and insured team members will use state-of-the-art products and cleaning methods to provide you with a thorough and consistent clean for your home. With Merry Maids on the job, you’ll have time to do the things you enjoy the most rather than having to spend time maintaining your home’s cleanliness. Don’t spend all your free time cleaning your home when you can call on our maid service team to handle the housekeeping tasks instead. In Deerfield Beach, you have Merry Maids of Deerfield Beach ready and willing to take respectful and thorough care of your home while you simply sit back and enjoy the results. 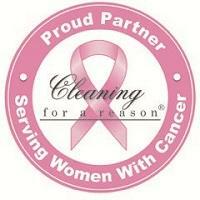 Call us today for your free estimate and see for yourself how clean your home can be.